Today we are excited to be releasing Windows 10 Insider Preview Build 14977 for Mobile to Windows Insiders in the Fast ring. We will not be releasing a PC build this week due to a blocking bug that could result in broken apps after updating to a new build. Read EPUB books in Microsoft Edge on your phone: In addition to being able to read any unprotected e-book in the EPUB file format on your PC with Microsoft Edge – you can also read unprotected e-book in the EPUB file format with Microsoft Edge on your phone! 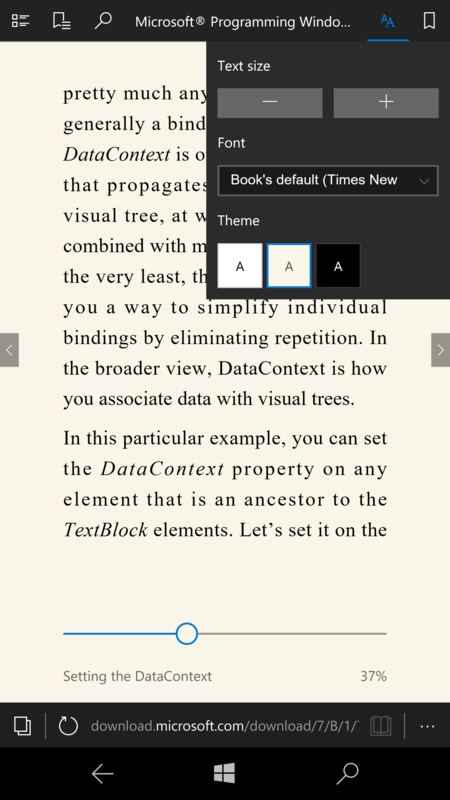 When you open an unprotected e-book in Microsoft Edge, you will be taken into a customizable reading experience where you can change the font and text size and choose between 3 themes: light, sepia, and dark. As you read, you can leave bookmarks. To navigate through an e-book, you can use the table of contents or seek bar at the bottom of the browser. And you can also search for words or phrases and use Cortana to define specific words. You can download and read unprotected e-books from places like Feedbooks, Project Gutenberg, Free eBooks (requires sign-up), ePubBooks (requires sign-up), Open Library and even our own Microsoft Press. Try out reading an e-book in Microsoft Edge on your phone and let us know what you think! We’ve changed the rendering technology used for many types of UWP app content, so please provide feedback through the Feedback Hub if you notice any new visual glitches in UWP apps. Alarms sent by 3rd party alarm apps will now break through Cortana’s Quiet Hours – we appreciate all the app developers who logged feedback requesting this, keep it coming! We’ve removed the top-level option in Notification Settings to disable alarms on the lock screen – alarm reliability is a top priority for us, and we’ve found this setting was frequently enabled accidentally, without awareness that it would stop alarms from waking the phone when the phone was locked. For those who still wish to enable this setting, it’s will continue to be available under the per-app notification settings. We fixed an issue where closing a tab in Microsoft Edge, exiting the app, and then relaunching it would sometimes result in Edge opening to a blank page with the closed tab’s web address in the URL bar. We fixed an issue where the Start Settings page wasn’t rendering when opened on external screen while using Continuum. We’ve made a number of translation improvements, including, for French (France and Canada) speakers, fixing a grammatical error in the “Don’t Forget!” text seen when shutting down the phone so it now says “N'oubliez pas”, and for Chinese speakers, fixing an issue where the option to clear the Chinese Input Method Editor’s input history was displaying in English rather than Chinese. If you see any other translations that aren’t as you’d expect, please log feedback – we’re listening! We fixed an issue where, if the setting to show notifications above lock had been turned off, booting the device and immediately checking the Action Center while the phone was locked could result in the Action Center not displaying any notifications after the phone had been unlocked. We fixed an issue Insiders may have experienced where the Camera app might not appear after using the hardware camera button while the screen was off or while on the Glance screen. 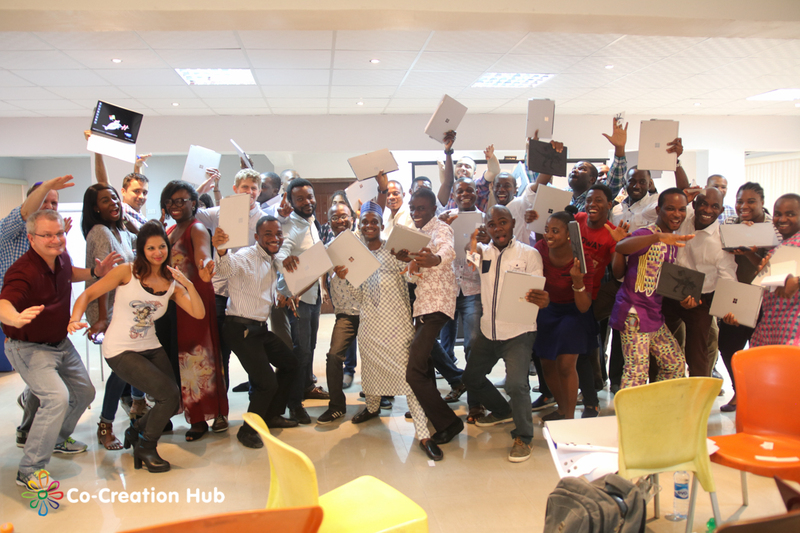 Two months ago, the Windows Insider team partnered with Co-Creation Hub (CCHub) in Lagos, Nigeria to announce our very first #WINsiders4Good Fellowship. For this inaugural program, we selected from more than 5,000 applicants a cohort of 25 entrepreneurs with amazing ideas to make Nigeria an even better place. Over the next six months, we will work side-by-side with these Fellows to launch 25 viable businesses. We loved that everyone we met in Nigeria shared our mission of empowering EVERY person on the planet to achieve more and we knew that this amazing country was the place to do the "alpha" of our Fellowship program. We sought out applications for the Fellowship cohort from all over Nigeria. Each applicant was asked to think deeply about the issues confronting his or her community, the solutions that could address these issues, and the opportunities for the solution to thrive in the market and become a viable business. Within days, over 5,000 people applied, all of whom personified the Windows Insiders mission. We were thrilled. Together with CCHub, we narrowed these amazing applications to 25 finalists that really stood out in terms of impact, originality and feasibility. It was an incredibly difficult decision given how passionate and creative Nigerians are about making their country a better place! This past week, we were back to launch the Fellowship with a week-long boot-camp to kick start the 25 ideas, as well as start the process of providing ongoing tech and strategic mentorship for a period of six months and of course access to our global network of Microsoft employees, customers, partners and of course the other Windows Insiders. On the morning of November 14th, 25 strangers walked into CCHub HQ, each with a story, an idea, and pure enthusiasm to learn and build their business. Among them was Muhammad, a farmer for the rural north with an idea to recycle his neighbors' trash into something useful for them, Idowu, a woman from Ogun who wanted to support small local businesses, and Bem, who wanted to make sure that the elderly people like his father who found themselves suddenly unemployed, were able to find work again. You can learn more about these amazing people and the businesses they are building here. These solutions are not only applicable in Nigeria, but to any country in the world. We were so proud to welcome these incredible people into the Windows Insiders family. Over the course of the next 5 days of the bootcamp week, we all focused on the customers of these 25 ideas through a series of exercises around strategic thinking, value prop development and prototype hacking. It was a mind-blowing week for us. We are humbled by the passion and creativity Nigerians show to make their country even more wonderful. Their endless optimism and positivity even as they tackle some of the hardest business model and technical challenges has been amazing to see. After the bootcamp week, the engagement with the Fellows has continue through a bi-weekly in-person/Skype sessions with both CCHub and our team at Microsoft. The communication channels the Fellows created has been buzzing with activity at all hours of the night and it’s been amazing to see the responses from all of YOU volunteering to help the Fellows with whatever they need. We will be having a mid-point demo day in Lagos in February to showcase the progress they have made. One thing we've asked the Fellows to keep in mind is that they are not alone. 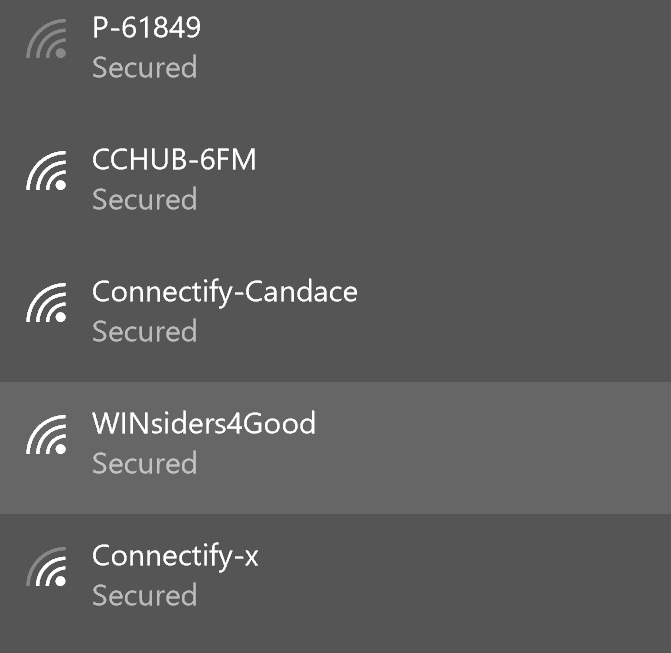 They have the Microsoft team, the global Windows Insiders, their cohort of 25, CCHub's local network and of course, our Microsoft network of customers, partners and distributors that they can tap into. 45 days ago, we fell in love with ideas on paper. Last week we fell in love with the humans who are in the process of transforming them into viable businesses. These Fellows are now part of a global community of people who use technology to make a lasting impact in the world. They had joined us, the community of millions who represent the billions - the Windows Insiders Program. We can’t wait to follow along on their journeys and we hope you will too.